Overview and Separating the Facts from Fiction concerning Traditions and True Torah Observance. Yom Kippur (Hebrew: יוֹם כִּפּוּר‎, IPA: [ˈjɔm kiˈpur]), also known as the Day of Atonement, is the holiest day of the year for religious Jews. Its central themes are atonement and repentance. Jews traditionally observe this holy day with a 25-hour period of fasting and intensive prayer, often spending most of the day in synogogue services. Yom Kippur completes the annual period known in Judaism as the High Holy Days. Yom Kippur is the tenth day of the month of Tishrei. According to Jewish tradition, Elohim inscribes each person's fate for the coming year into a "book" on Rosh Hashanah (According to THEIR tradition) and waits until Yom Kippur to "seal" the verdict. During the Days of Awe, a Jew tries to amend his or her behavior and seek forgiveness for wrongs done against Elohim and against other human beings. The evening and day of Yom Kippur are set aside for public and private petitions and confessions of guilt (Vidui). At the end of Yom Kippur, one considers one's self absolved by Elohim. DAYS OF AWE: The ten days starting with Yom Teruah/Day of Trumpets and ending with Yom Kippur are commonly known as the Days of Awe (Yamim Noraim) or the Days of Repentance. This is a time for serious introspection, a time to consider the sins of the previous year and repent before Yom Kippur. One of the ongoing themes of the Days of Awe is the concept that Elohim has "books" that he writes our names in, writing down who will live and who will die, who will have a good life and who will have a bad life, for the next year. These books are written in on in this time, but our actions during the Days of Awe can alter Elohim’s decree. The actions that change the decree are "teshuvah, tefilah and tzedakah," repentance, prayer, good deeds (usually, charity). These "books" are sealed on Yom Kippur. This concept of writing in books is the source of the common greeting during this time is "May you be inscribed and sealed for a good year." Among the customs of this time, it is common to seek reconciliation with people you may have wronged during the course of the year. The Talmud maintains that Yom Kippur atones only for sins between man and Elohim. To atone for sins against another person, you must first seek reconciliation with that person, righting the wrongs you committed against them if possible. The Yom Kippur prayer service includes several unique aspects. One is the actual number of prayer services. Unlike a regular day, which has three prayer services (Ma'ariv, the evening prayer; Shacharit, the morning prayer; and Mincha, the afternoon prayer), or a Shabbat or Yom Tov, which have four prayer services (Ma'ariv; Shacharit; Musaf, the additional prayer; and Mincha), Yom Kippur has five prayer services (Ma'ariv; Shacharit; Musaf; Mincha; and Ne'ilah, the closing prayer). The prayer services also include a public confession of sins (Vidui) and a unique prayer dedicated to the special Yom Kippur avodah (service) of the Kohen Gadol in the Holy Temple in Jerusalem. Yom Kippur is considered one of the holiest of Jewish holidays and it is observed by many secular Jews who may not observe other holidays. Many secular Jews fast and attend synagogue on Yom Kippur, where the number of worshippers attending is often double or triple the normal attendance. Many other Jews choose not to fast. 5. No marital relations (nowhere in Torah concerning Yom Kippur) Although in Lev 15:18 one could be considered unclean when having relations, therefore making this traditional command a "common sense" observance. Also with regards to a fast see 1Cor 7:5 about marital relations. Total abstention from food and drink usually begins 30 minutes before sundown (called tosefet Yom Kippur, literally means. "Addition to Yom Kippur"), and ends after nightfall the following day. Although the fast is required of all healthy adults, it is waived in the case of certain medical conditions. Virtually all Jewish holidays involve a ritual feast, but since Yom Kippur involves fasting, Jewish law requires one to eat a large and festive meal on the afternoon before Yom Kippur, after the Mincha afternoon prayer. Wearing white clothing, for men a Kittel, is traditional to symbolize one’s purity on this day. Many Orthodox men immerse themselves in a mikvah on the day before Yom Kippur. Main article: Kol Nidre Erev Yom Kippur (literally means. "eve [of] day [of] atonement") is the day preceding Yom Kippur, corresponding to the ninth day of the Hebrew month of Tishrei. This day is commemorated with two festive meals, the giving of charity, and asking others for forgiveness. The leader and the congregation then say together three times “May all the people of Israel be forgiven, including all the strangers who live in their midst, for all the people are in fault.” The Torah scrolls are then replaced, and the customary evening service begins. Many married men wear a kittel, a white robe-like garment for evening prayers on Yom Kippur otherwise used by some Orthodox males on their wedding day. 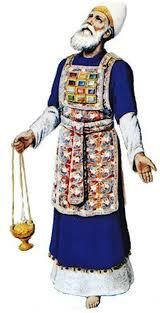 They also wear a tallit, as they may also do on Shabbat and on other holidays. Prayer services begin with the prayer known as “Kol Nidre,” which must be recited before sunset, and continue with the evening prayers (Ma'ariv or Arvith), which includes an extended Selichot service. The morning prayer service is preceded by litanies and petitions of forgiveness called selichot; on Yom Kippur, many selichot are woven into the liturgy of the mahzor (prayer book). The morning prayers are followed by an added prayer (Musaf) as on all other holidays. This is followed by Mincha (the afternoon prayer) which includes a reading (Haftarah) of the entire Book of Jonah, which has as its theme the story of Elohim's willingness to forgive those who repent. The service concludes with the Ne'ila ("closing") prayer, which begins shortly before sunset, when the "gates of prayer" will be closed. Yom Kippur comes to an end with reciting of Shema Yisrael and the blowing of the shofar, which marks the conclusion of the fast. Over time, more and more importance was placed on Yom Kippur as it also became known as the Day of Judgment-the culmination of the 10 days of repentance. To the Rabbis, Yom Kippur marked the climax of the trial of the people; it was when Elohim sealed names in the book of life, or in the book of death. The Rabbis added abstentions that must be followed on Yom Kippur which included eating, drinking, bathing, wearing leather shoes (the most comfortable at the time), and sexual relations. Because Jews go by the lunar calendar, Yom Kippur begins at sunset, and ends one hour after sunset of the following day totaling 25 hours. Yom Kippur is so important to the Jews that it is sometimes referred to as "the Sabbath of Sabbaths" and is the only fast day that can fall on Saturday (the weekly Sabbath). The day is spent in Synagogue praying and supplicating to Elohim to be sealed in the book of Life. Yom Kippur is not a sad day; it is a day of reflection and atonement. Fasting is used not as a punishment, but as a cleansing of the body as well as the spirit. Some Jews stay in the synagogue all day and only take one small break between prayers. Because the day is very important, there are 5 different prayer services instead of the 4 that appear on a regular Sabbath. Yom Kippur ends with a long resonating Shofar blast followed by the breaking of the fast; this marks the end of the 10 day long period of repentance and reflection. Many of the above observances could be considered edifying to the Holiness of Yom Kippur. Many of the traditional observances were not sanctified by Torah and actually contradict canonized Scripture. Exo 30:1 And thou shalt make an altar to burn incense upon: of shittim wood shalt thou make it. Exo 30:2 A cubit shall be the length thereof, and a cubit the breadth thereof; foursquare shall it be: and two cubits shall be the height thereof: the horns thereof shall be of the same. Exo 30:3 And thou shalt overlay it with pure gold, the top thereof, and the sides thereof round about, and the horns thereof; and thou shalt make unto it a crown of gold round about. Exo 30:4 And two golden rings shalt thou make to it under the crown of it, by the two corners thereof, upon the two sides of it shalt thou make it; and they shall be for places for the staves to bear it withal. Exo 30:5 And thou shalt make the staves of shittim wood, and overlay them with gold. Exo 30:6 And thou shalt put it before the vail that is by the ark of the testimony, before the mercy seat that is over the testimony, where I will meet with thee. Exo 30:7 And Aaron shall burn thereon sweet incense every morning: when he dresseth the lamps, he shall burn incense upon it. Exo 30:8 And when Aaron lighteth the lamps at even, he shall burn incense upon it, a perpetual incense before Yahweh throughout your generations. Exo 30:9 Ye shall offer no strange incense thereon, nor burnt sacrifice, nor meal offering; neither shall ye pour drink offering thereon. Exo 30:10 And Aaron shall make an atonement upon the horns of it once in a year with the blood of the sin offering of atonements: once in the year shall he make atonement upon it throughout your generations: it is most holy unto Yahweh. Exo 30:12 When thou takest the sum of the children of Israel after their number, then shall they give every man a ransom for his soul unto Yahweh, when thou numberest them; that there be no plague among them, when thou numberest them. Exo 30:13 This they shall give, every one that passeth among them that are numbered, half a shekel after the shekel of the sanctuary: a shekel is twenty gerahs: an half shekel shall be the offering of Yahweh. Exo 30:14 Every one that passeth among them that are numbered, from twenty years old and above, shall give an offering unto Yahweh. Exo 30:15 The rich shall not give more, and the poor shall not give less than half a shekel, when they give an offering unto Yahweh, to make an atonement for your souls. Exo 30:16 And thou shalt take the atonement money of the children of Israel, and shalt appoint it for the service of the tabernacle of the congregation; that it may be a memorial unto the children of Israel before Yahweh, to make an atonement for your souls. Most will attribute Exodus 30, as the command to give a tabernacle/temple tax. But is there more for us there, possibly pointing to Yom Kippur? Lev 16:2 And Yahweh said unto Moses, Speak unto Aaron thy brother, that he come not at all times into the holy place within the vail before the mercy seat, which is upon the ark; that he die not: for I will appear in the cloud upon the mercy seat. Lev 16:7 And he shall take the two goats, and present them before Yahweh at the door of the tabernacle of the congregation. Lev 16:8 And Aaron shall cast lots upon the two goats; one lot for Yahweh, and the other lot for the scapegoat. Lev 16:9 And Aaron shall bring the goat upon which Yahweh's lot fell, and offer him for a sin offering. Lev 16:10 But the goat, on which the lot fell to be the scapegoat, shall be presented alive before Yahweh, to make an atonement with him, and to let him go for a scapegoat into the wilderness. Lev 16:18 And he shall go out unto the altar that is before Yahweh, and make an atonement for it; and shall take of the blood of the bullock, and of the blood of the goat, and put it upon the horns of the altar round about. Lev 16:30 For on that day shall the priest make an atonement for you, to cleanse you, that ye may be clean from all your sins before Yahweh. Lev 16:34 And this shall be an everlasting statute unto you, to make an atonement for the children of Israel for all their sins once a year. And he did as Yahweh commanded Moses. The above Scriptures conflict greatly with the Jewish tradition of not bathing or washing on Yom Kippur. Lev 23:27 Also on the tenth day of this seventh month there shall be a day of atonement: it shall be an holy convocation unto you; and ye shall afflict your souls, and offer an offering made by fire unto Yahweh. Lev 23:28 And ye shall do no work in that same day: for it is a day of atonement, to make an atonement for you before Yahweh your Elohim. Ezra 8:21 Then I proclaimed a fast there, at the river of Ahava, that we might afflict ourselves before our Elohim, to seek of him a right way for us, and for our little ones, and for all our substance. Ezra 8:22 For I was ashamed to require of the king a band of soldiers and horsemen to help us against the enemy in the way: because we had spoken unto the king, saying, The hand of our Elohim is upon all them for good that seek him; but his power and his wrath is against all them that forsake him. Also see Isaiah 58:3-6 for examples of “afflict souls" in conjunction with fast. Lev 25:4 But in the seventh year shall be a sabbath of rest unto the land, a sabbath for Yahweh: thou shalt neither sow thy field, nor prune thy vineyard. Proof that Atonement begins the Sabbatical Year. Num 29:11 One kid of the goats for a sin offering; beside the sin offering of atonement, and the continual burnt offering, and the meal offering of it, and their drink offerings. Act 27:8 And, hardly passing it, came unto a place which is called The fair havens; nigh whereunto was the city of Lassa. In conclusion we find that atonement can be a time of introspect, self-examination, repentance, and self-discipline. Many of the Jewish traditions follow along those lines. As for the traditions that don’t align themselves with Scriptures we are to avoid them and continue to keep our faith and practices as True Believers pure and untainted. We can then hope to one day be told “Good and Faithful Servant”!